This week the teams were making and selling doughnuts. Our lawyers were on the losing team but both survive in the series for a further week. This is not surprising, there is a long history of lawyers, law and doughnuts. WHERE CAN YOU GO WRONG WITH DOUGHNUTS? The teams had to sell, and then make, “high end doughtuts”. The teams “over-promised” and “under-delivered”, in some cases food that was inedible. 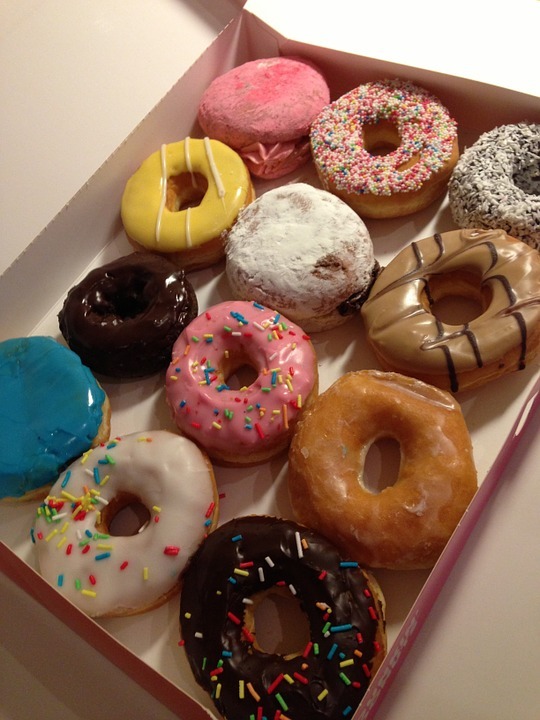 In the USA doughnuts, or “donuts” are a regular feature of litigation. Our law student managed to break his arm. However both managed to keep a low profile, despite being on the losing side, slipping down the hole in the middle of the doughnut I guess. Neither lawyer or law student ended up in the final three in the boardroom. We saw little sign, however, of the “laying down the law” in the boardroom – this has been promised, but has yet to come. I expect a rapid entry if this is ever, in fact, tried. Basically the losing team “Collaborative” made things doughnuts that looked bad nobody wanted to eat. There was precious little collaboration. “Strife” would have been a more accurate name. Don’t promise to make a doughnut that can’t, in fact, be made. Don’t give up law in the belief that there is a market for “upmarket” doughnuts. Keep things simple: “B-shaped” doughnuts should not be promised. Keep things simple: jammy dodgers should not be placed on the top of doughnuts.